How Long Will The Sole E55 Last? Another positive aspect of the Sole E55 is that the better-quality build that Sole is known for translates into a longer lasting machine. Though you will not be able to enjoy the same amount of entertainment and convenience, you will be able to have a well-working elliptical for a few more years. We predict that a light or a moderate user who enjoys working out every other day will be able to use the Sole E55 for at least five years if not many more. With that said, we do like to remind elliptical owners that we make our assessments with the idea that the machine will be kept in an ideal environment. When a machine is constantly left plugged in, never properly cleaned, and stored in varying temperatures, then it will certainly hit the dust much faster. Simply put, if you do not properly maintain your elliptical, then you have a better chance of seeing Steven Colbert announce his support of the Republican party than you will of seeing your elliptical last for more than a few years. We talk a lot about style and substance in our reviews. Unfortunately, we stumble upon a lot of machines that do not have a balance between the two; the Sole E55 being a prime example. The Sole E55 has many utility-based features that create a sturdy, durable elliptical. Yet, the programming in this model can barely compete with the other ellipticals on the market. Because of this imbalance, we have placed the E55 in Third Place among our 2019 Best Buys in the $1,000 to $1,499- dollar range. We all more than likely remember older house phones. They didn't usually run out of battery or have an expensive bill. They were simply good phones that could call others and take a message. The Sole E55 is very similar in that it is a sturdy elliptical that can do its job and not much else. The only difference is that this model cost just as much as other, updated ellipticals. Sole has yet to significantly update their programming. While there are models that can surf the web via HD touchscreens, Sole is still boasting about their new Bluetooth addition. Additionally, Sole has only included ten built-in workouts. So not only can you not enjoy a video app or two, but you also will burn through the programmed workouts relatively quickly. The lack of programming then makes the E55 less valuable than other ellipticals in this price range since it cannot match even half of their programming capabilities. Yet, the Sole E55 has the same price tag as other updated models. On the bright side, Sole does have a reputation for sturdy, well-built machines. They have been around for quite some time and have a more reliable company and design model. The E55 is not exempt from their quality standards. This model not only comes with a decent build, but it also comes with a reasonably heavy flywheel. Both features indicate a machine that will feel smoother for longer. Furthermore, Sole included utility-based features that somewhat make up for the lack of programming. To start, the Sole E55 comes with a twenty percent automated incline ability which helps to increase the intensity of a workout. Sole also advertises their adjustable pedals. This basically means that you can move and lock the footpads in at your desired incline or decline position. Sole says that this helps the user's comfort level as the footpads can reduce the strain on one's toes or Achilles tendon. While we cannot account for a user's particular comfort level, it is nice to see Sole adding features where they can to help improve the workout experience. We have regarded the Sole's E55 as a decent machine that is slowly becoming obsolete by other brands. Sole used to lead the market in mechanical capability but competing brands have continued to develop both their electronics and their mechanics. With this, we have noticed in past reviews that Sole's E55 slowly becoming unable to keep up with the changing market. The Sole E55 is a prime example of a machine that has more substance than style. When compared to other ellipticals in this price range, one can see that the E55 is a dated, overpriced elliptical. Just as much, one cannot deny the quality that this model is built with. Thus, we have decided to name the Sole E55 our Third Place 2019 Best Buy among the $1,000 to $1,499-dollar range. 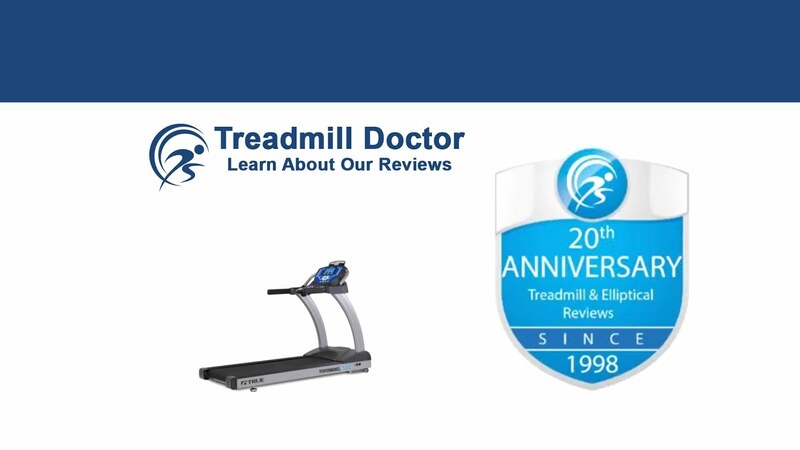 If you can find the Sole E55 on sale, then we would recommend this elliptical for a light to a moderate user who is not concerned with updated programming.